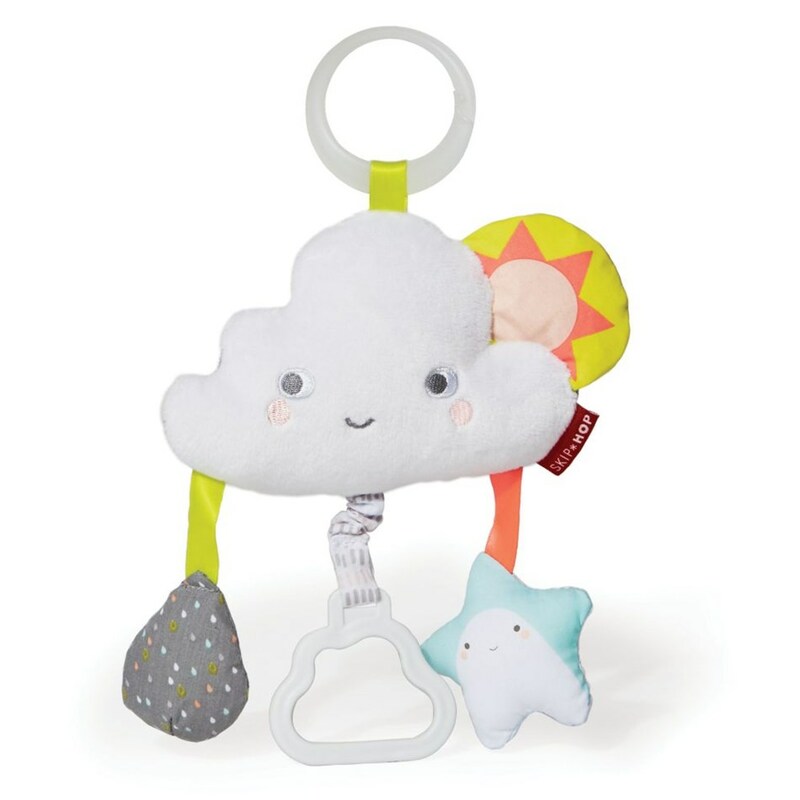 With a plush, two-sided character face, our friendly cloud vibrates and shakes when the teether toy's handle is pulled. A crinkle raindrop and sun flap—along with a star squeaker and ribbon accents—offer multisensory engagement, with pops of neon to stimulate baby's sight. Like all our stroller toys and portable baby toys, it has a built-in loop so you can easily attach it to the bar of your stroller, infant carrier or other gear.